Andrew Sund, Ph.D., has always had a passion for improving the condition of Latinos and other underrepresented segments of the population. Although “Sund” may not be a very Latino-sounding name, rest assure, he hails from Hispanic culture. “I was born in Venezuela of an American father and Chilean mother,” he explains. “I grew up in Venezuela, Chile, and Mexico.” And his professional career has consisted largely of addressing issues with Latinos and higher education. Before assuming the helm at Heritage University, Dr. Sund was President of St. Augustine College in Chicago. He says he wasn’t seeking employment elsewhere but discovered that Heritage was searching for a president. 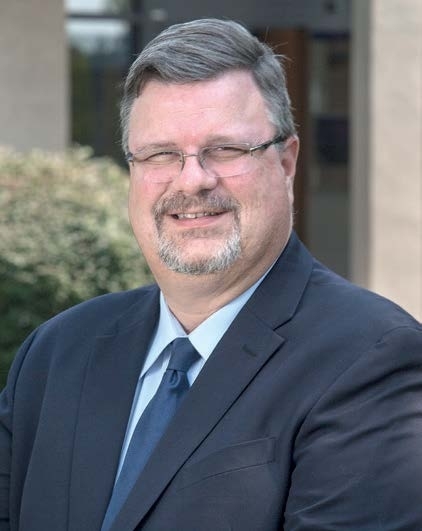 Sund liked the opportunity of working at Heritage because it offers more programs, including graduate degree programs, and he thought he would enjoy the professional challenges of being a president in a new environment. “I threw my name in the hat and went through a thorough search process, and was chosen.” In July of 2017, he became only the 3rd president of the university which was founded in 1982. While Sund applauds the strides in Latino participation in higher education, he says, “We are still far behind where we should be in terms of people with post-secondary credentials and this applies in every single area.” Sund says there is a need for more people in STEM (science, technology, engineering and mathematics), but also in leadership positions since the number of Latinos in leadership is lower than it was 10 years ago. And, he wants to continue diversifying the staff and faculty at Heritage to create more opportunities for Latinos to work in higher education.